Ooh Mummy! : Sunday Brunch at JP(Jamaica Plain)! 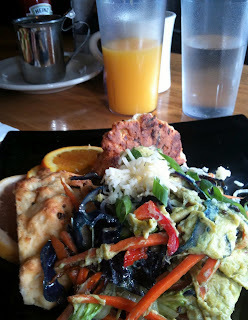 When I wake up early enough to eat breakfast on Sunday, I always want to have a good "Sunday Brunch" at a nice cafe. Especially this early summer weather makes me feel like having a brunch at one of my favorite cafe"Central Street Cafe"at JP. Whenever I am sitting in the cafe, the most difficult thing is to pick up one of your choices. Since there are so many different choices in the menu including the cafe's special etc. Eggs, bread,pancake, bacon, fruits, salad, coffee, etc,etc. Today I picked up a homemade waffle with assort of fruits and my hubby picked scramble eggs with vegetables and home made cheese scone. It was very good. 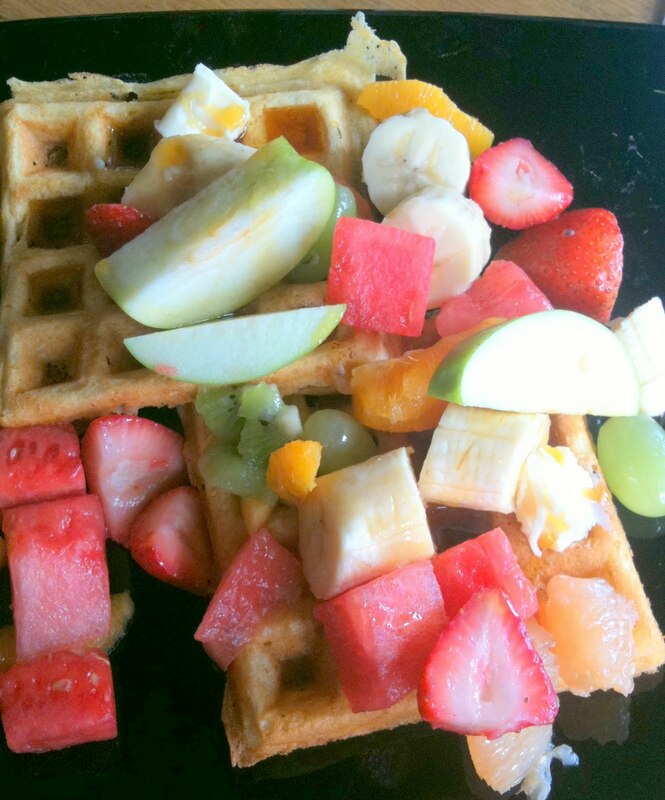 Especially this waffle is very crispy outside and soft inside and matched with honey and fruits very well. I enjoyed "Sunday Brunch" very much. So now I should go for walking with my lovely dog.